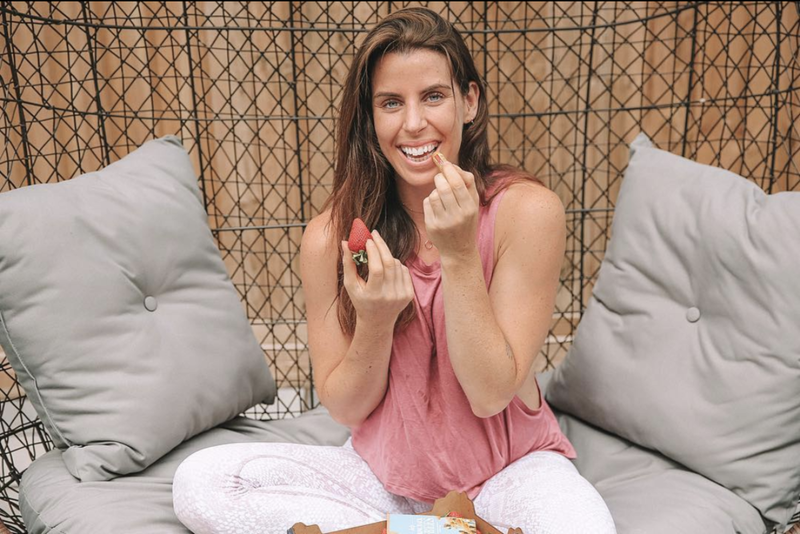 We take 5 minutes to chat with Carly Rowena- Personal Trainer, You Tuber and mum-to-be. Carly is one of the most honest and down to earth people you will find on social media and we are so happy to be able to have grabbed a moment with her! So you’ve climbed Kilimanjaro! What was that like? Kilimanjaro has changed me in so many ways, i totally underestimated it and it impacted my life more than i could imagine! I actually filmed the whole trip which you can watch here. there were far more tears than i expected but a whole lot of laughs too! You also have an extremely popular YouTube channel- how did you grow such a large a loyal following and where did you learn how to do so? I wish i could say I learnt how to do it, it all just kind of happens! I like to think of myself as the girl next door, an attainable figure, positive but not restrictive approach to food and fitness and I’m always happy to help / engage with others! In truth the best way to grow a following is to put out bright, beautiful content and engage with those who make the time to engage with you. What is the most common question that you’re asked by people on YouTube?! ‘Will weights make me bulky’ and ‘What should i stop eating to get Abs! You have such an awesomely refreshing frankness across all of your social channels, and one of the topics that comes up a lot is self confidence- what’s your best advice for developing a healthy relationship with your body? Self confidence and body confidence is never easy and you’ll always go through ups and downs. Confidence for me came when i finally understood what i wanted from life, to live for as long as I can feeling as healthy as I can. There is no perfect size or shape but there is a level of fitness, i just want to be functional, to be able to run for the bus if i miss it, carry my shopping home and walk up the stairs with a suitcase. As a PT, What’s the most common insecurity you come across with the people you train and what’s your advice to them on how to manage it? The most common insecurity is weight, most people believe they need to lose weight when in actual fact we just need to get them fitter and change their body composition, improved posture, muscle tone and fitness levels. The best type of client is someone who comes to me just wanting to get fitter, they always have the quickest and biggest transformation as they enjoy the process. You recently revealed the amazing news that you have a baby on the way! How are you managing the changes of your body since becoming pregnant?! Oh thank you, we’re super excited! In all honesty this baby has taught me that my body is no longer my own, i don’t feel the same, look the same or crave the same foods. I am now a home for somebody else, so while he/she is around I’m learning to train, eat and behave intuitively, it’s really refreshing and such a fun new way to think. What’s the one thing you couldn’t live without and why? I couldn’t live without my dog Steven, he reminds me that life is not an emergency, encourages me to play and his daily walks have become my own mediation time. And finally, favourite Friday night dinner?! Oh I’m such a foodie! Right now i am living for a Spaghetti Bolognese (pregnancy cravings) however a big beautiful BBQ or Tapas with friends always has my vote! Thanks so much Carly for sharing your real-talk and infectious enthusiasm with us- we feel seriously motivated after that! 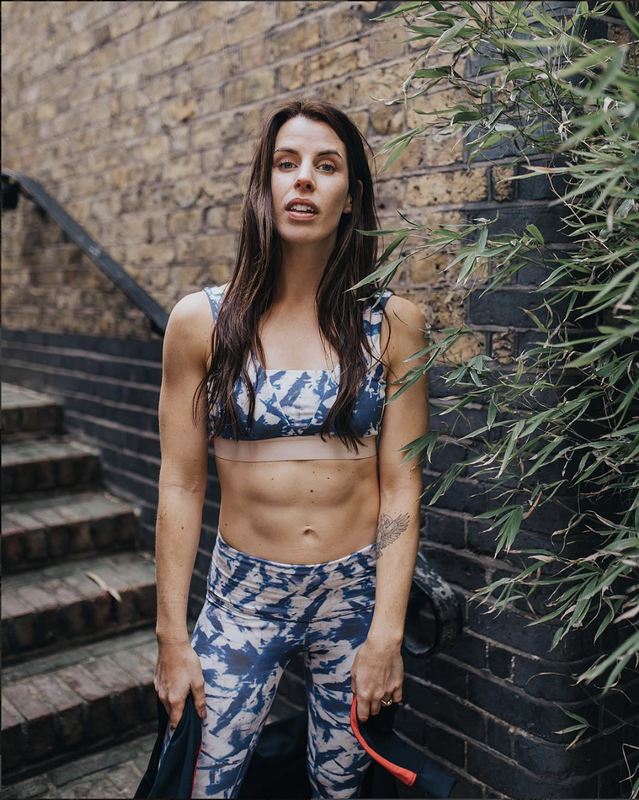 You can find Carly Rowena on Instagram @carlyrowena, or on You Tube here.